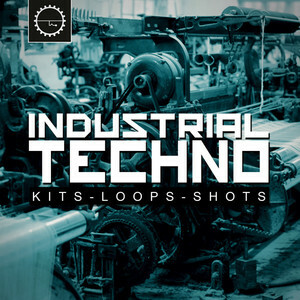 From hard as nails Industrial Techno to undulating Melodic Techno and everything in between, 2018's bestselling Techno sample packs perfectly reflect the spectrum of sounds currently at the forefront of the genre. Crank up your speakers and clear half an hour to check out the best Techno sample packs of 2018. We promise they're worth it. Kicking off our Top 10 Techno sample packs is this analogue-focused pack from Industrial Strength. Including a total of 2,747 samples, this gargantuan collection offers you the chance to explore D.A.V.E. The Drummer's personal sample collection, first hand. 'Tekno Tool Box' includes a wide range of techy loops alongside a useful selection of one-shot hits which you can load into a sampler and get creative with. This pack is ideal for producers of Acid, Minimal, Tribal, Schranz, Electro, Glitch, Funky Techno, and of course, the banging UK Techno D.A.V.E. The Drummer is best known for. This is the first of many Sample Tools By Cr2 packs to be included in our chart, showing just how good a year this world-renowned record label has had with its sample label off-shoot. 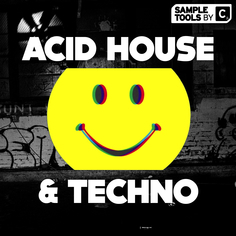 With 20 Acid lines included, there is enough 303 action to inspire Acid Techno and Acid House producers to create new productions. 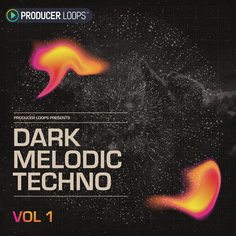 Meanwhile, the 60 MIDI loops, bassline loops and a sizeable selection of drum shots and loops will provide ample sample fodder to get any techy production off the ground, regardless of subgenre. 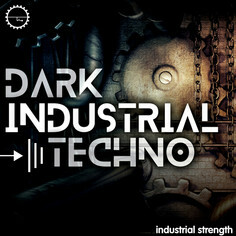 Industrial Strength returns to our chart with this sound-design heavy collection. 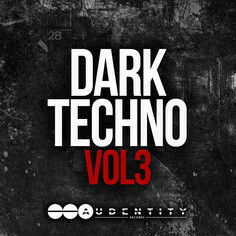 This pack is light on melodic elements but provides everything you could need for a heads down, Dark Room Techno track. Distorted kicks, metallic SFX, dark atmospherics, and straight percussion loops help to create a devilishly dark mood, designed for those 3am moments in clubs like Berghain. At points, this pack strays into Hardstyle territory, so it really is one for the Hard Techno producers out there - not the best option if you're trying to create Melodic Techno by the likes of Patrice Baumel. This pack from Audentity focuses heavily on groove elements, providing a vast array of kick, percussion, hi-hat, clap, snare and top loops. Again, as you'd expect with Dark Techno, the melodic elements are fairly light on the ground, but you do get 42 synth loops and 53 FX elements, which include the vocal snippets and fills you hear in the demo. This sample pack is a great choice for adding a final flourish to your rhythm section or equally, for creating the groove backbone on which the rest of a track can be built. Industrial Strength is back at it again! Although not as hard as 'Industrial Techno' (#8 in our list), this pack was created by the same production team and still conjures up images of two cyborgs fighting to the death inside a forgery! This title focuses on all the mood-setting elements that dictate exactly what sub-genre of Techno your track might end up falling into - the pack is awash with Dark Techno atmospheres, textures & distorted FX. We particularly love the set of 51 kick drums included in this pack - slot them into your track and you'll have no choice but to create a banger, right from the word go. 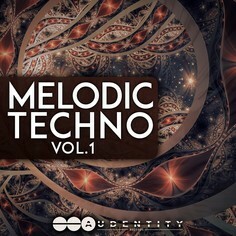 And now for something entirely different... Take a breather with these Melodic Techno samples from Audentity. The cross-over potential is huge with this pack - at times the product demo strays into Progressive Trance and House territory, at other times it is reminiscent of tracks by Stephan Bodzin. Our top tip? Try combining the relaxing pads, intricate stabs and darting melodies of this pack with the abrasive Industrial sounds of the packs already featured above. This year's fourth bestselling sample pack... is not a sample pack! Here, The Audio Bar provide the DAW Template to a sublime Techno track. 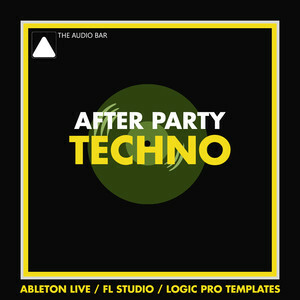 Available for Ableton, FL Studio, Logic Pro & Bitwig, this template is an excellent learning tool for aspiring Techno producers inspired by the likes of Richie Hawtin, Maceo Plex, Adam Beyer & Dubfire. You'll also get all the one-shots, MIDI, vocal snippets and synth presets used to create the track. Techno is such a complex genre to produce, so it's no wonder that customers have gravitated towards this release, which aims to share the sound design and production techniques used by the professionals. We're proud of our bestselling Techno release under the Producer Loops label. 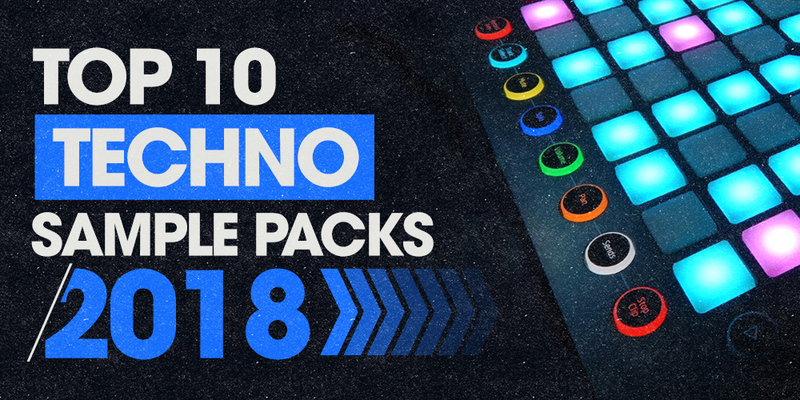 Fans of Reiner Zonneveld, ANNA, Charlotte de Witte & Mark Reeve will find this pack to be an extremely useful resource. Need a metallic stab or a piece of ear candy to elevate your track's atmosphere? How about a loose, mainroom style kick? We designed this pack to blur the edges of Dark and Melodic Techno. As you'd expect, the five included Construction Kits deliver exquisite sound design, ultra-useable groove loops and a swathe of one-shot samples. The only compromise? As most elements were recorded from hardware synths, MIDI doesn't really feature in this pack. Well, you can't have everything! 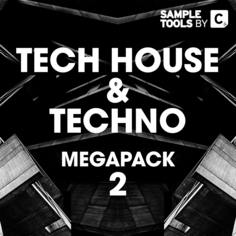 Sample Tools By Cr2 combined three of their bestselling Techno and Tech House sample packs to deliver this bundle pack, which is one part educational tool, and one part sample collection. The bundle includes close to 2 GB of audio files, songstarters, MIDI, synth presets, video tutorials and production tips and tricks from the producers. We particularly like the ethnic vocal samples and the sheer amount of MIDI files and drum samples on offer. Listen to the demo and you'll hear a combination of peak time Dark Techno, almost funky Tech House and soundalike synths used by the most famous Techno producers, such as Thomas Schumacher. 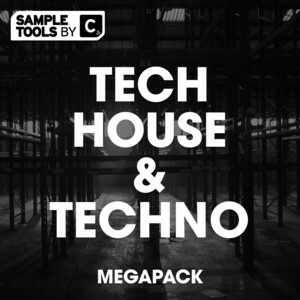 Weighing in at over 4 GB of content, this bundle pack from Sample Tools By Cr2 features five of their bestselling Techno and Tech House packs. It's no wonder customers have gravitated towards this release as there simply is so much content included. Songstarter kits, VSTi presets for the most popular synths, hundreds of MIDI files, production tips and tricks, DAW Templates and of course audio samples certified by one of the most popular electronic record labels on the planet. 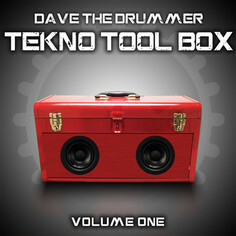 This pack would be worth its price tag for just the drum loops alone, but with everything else thrown in? A well deserved #1 spot.